Activities and Service - Brittany L. Holom, Ph.D. I am currently serving as Resource Development Coordinator at PRAB, a nonprofit in New Brunswick, NJ, through the AmeriCorps VISTA program. PRAB is an organization dedicated to fighting poverty through the empowerment of individuals and families. Their services include utility and housing assistance, immigration counseling, family and parenting coaching, and a wide range of educational opportunities, from ESL to financial literacy classes. My role during my year of service is to analyze PRAB's development strategy and resources and build sustainable systems for resource capacity, with the goal of strengthening PRAB's poverty alleviation work and enabling the organization to continue this work in the future. Field Walk in New Brunswick hosted by New Brunswick Tomorrow and the Housing & Community Development Network of NJ. 18 January 2019. Photo credit to Dr. Renita Miller (2016). I served as a resident graduate student (RGS) in Forbes College, a dorm for freshmen and sophomores, at Princeton University for two years. During this time, I organized study breaks for the residents ("zees") and acted as a point of contact for any questions, concerns, or emergencies that they had during their time at Princeton. I also helped to plan an annual leadership activity involving the preparation of lunch bags for the Trenton Area Soup Kitchen. 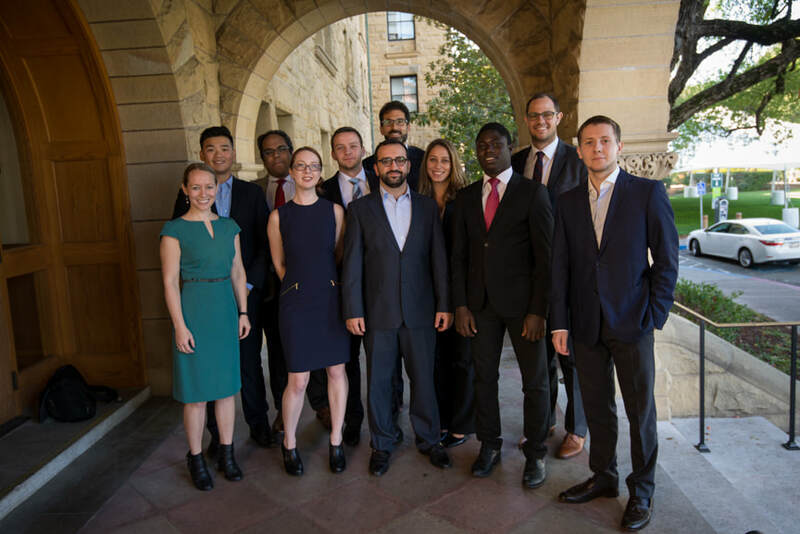 I have been involved with the Stanford U.S.-Russia Forum, serving first as a delegate on the SURF Healthcare and Biotechnology team from 2014-2015, and then as one of the SURF presenters at the 2016 Fort Ross Dialogue, presenting a pitch for a U.S.-Russia collaborative project in healthcare technology to a panel of judges that included Secretary Perry, Governor Brown, and Governor Yakushev of Tyumen oblast. Fort Ross Dialogue 2016. Photo credit to Paul C. Miller.